J.Crew has long been our go-to for cozy sweaters, work dresses, and perfect bags, but the retailer is about to become our new spot for delicate, affordable jewelry that looks expensive. Today, J.Crew launches its new demi-fine jewelry collection, featuring the prettiest under-$100 pieces we've seen in a while. With free engraving available, the necklaces, earrings, and bracelets are designed to look like instant heirlooms. 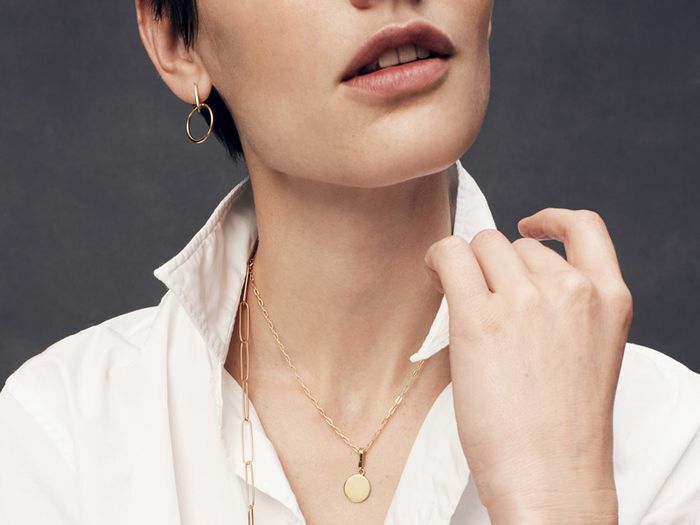 If you're a minimalist, the 14-karat gold-plated sterling silver jewelry is the perfect complement to any look, but the pieces can easily be layered and mixed and matched to make a statement. Now the only problem is deciding which pretty pieces to add to our carts. Scroll down to shop our picks from J.Crew's new demi-fine jewelry launch. Next up, shop our favorite J.Crew ankle boots for fall.